India is waking up to a beautiful day. Ramjed and his favorite monkey, Gigi, are on their way to school. What wonders will they see along the way? Readers of this charming book will follow Ramjed and his furry friend on their morning adventure. They'll travel through a bustling marketplace, pass by a Hindu temple, and even meet an elephant. They'll also learn about food, music, games, religion, clothing, etiquette, and daily life in the beautiful country of India. Stunning illustrations will pull even reluctant readers into this endearing story. 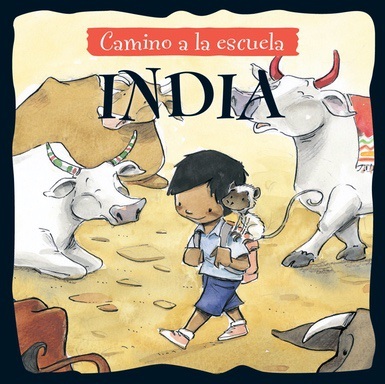 This adorable book will entertain readers while introducing them to the vibrant culture of India. Trim : 8 1/2" x 8 1/2"